Runcton Holme01553 763044work VillageRuncton Holme lies to the north of Stow Bardolph and to the south of Watlington about 5 miles north of Downham Market. 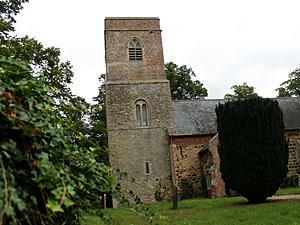 The village Church, St James, which is essentially a Norman church sits in a field above the village street and is constructed of a mixture of flint, red brick and gingerbread carstone . Close to The River Great Ouse, the village is well located for picking up the Fen Rivers Way, north to King’s Lynn or south to Downham Market. It is also close to the National Cycle Route 11 from Cambridge which connects with Route 1 just 3 miles north near Wiggenhall St Peter. Runcton Holme lies to the north of Stow Bardolph and to the south of Watlington about 5 miles north of Downham Market.